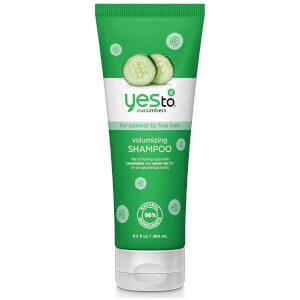 Ideal for normal to fine hair, the Yes To Cucumbers Volumising Conditioner adds body and bounce to your style. 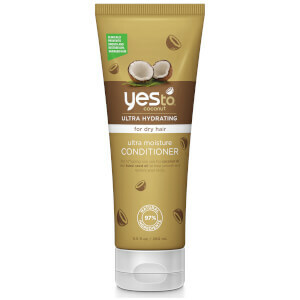 Fortified with vitamin-rich Cucumber and Aloe Vera, the hydrating formula strengthens and nourishes hair to leave it soft, shiny and healthy-looking from root to tip. 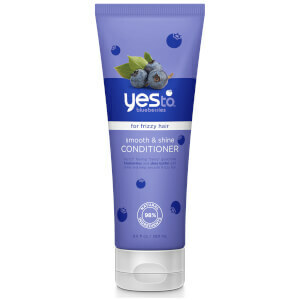 After shampooing, apply conditioner generously to your hair and scalp. Water (Aqua), Cetearyl Alcohol, Behentrimonium Chloride, Cetyl Esters, Clyceryl Caprylate, Citrus Limon (Lemon) Fruit Extract, Cucumis Sativus (Cucumber) Fruit Extract, Camellia Oleifera (Green Tea) Leaf Extract, Aloe Barbadensis (Aloe) Leaf Juice, Guar Hydroxypropyltrimonium Chloride, , Glycerin, Polyacrylate-32, Sodium Hydroxide, Glyceryl Undecylenate, Fragrance (Parfum).